There was a new girl in my art class today. I think she is about three. She is funny and sweet and had no problems with the other kids. She had so much fun in art and participated the whole time. We made temporary sculptures from objects we found around the room. We stacked them up, taped them together, and then took them apart and did it again. 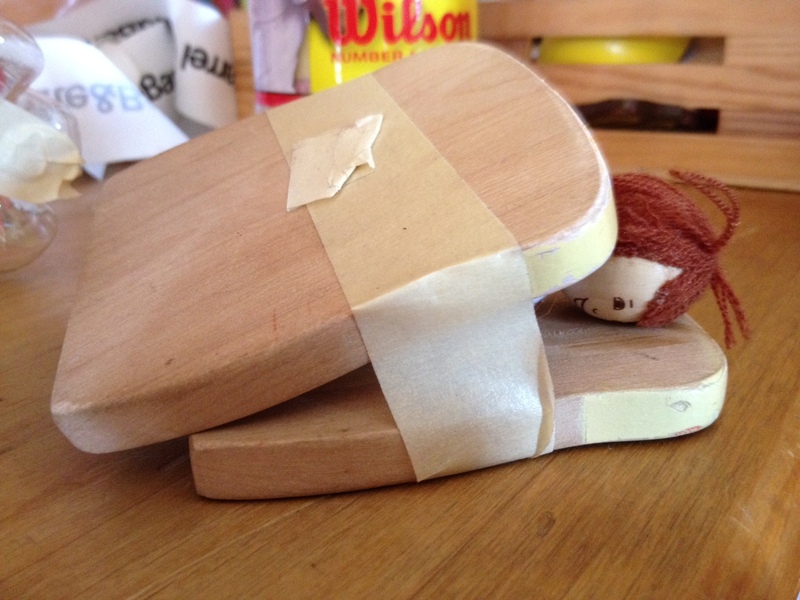 This new girl made a particularly successful sculpture of a small boy doll taped between two pieces of plastic bread. She was really suffering. She wasn’t scared that her mom had forgotten her, or that she wouldn’t show up. She was just expressing with absolutely no shame at all, how much it hurt her that she couldn’t have what she wanted most at that moment. It was heartbreaking, but also so beautiful. She hasn’t yet learned to hide her feelings because they don’t make sense to other people. I can totally see that little girl’s face. What a beautiful, touching moment. The next time a child is forlorn, play this…..
I’ve never known it fail forgoing some highly forlorn forthcoming. I loved it and I felt it a lot. It made me sad and happy at the same time. I just want there not to be pain. I love how your stories always touch me one way or the other. That is your gift my love.